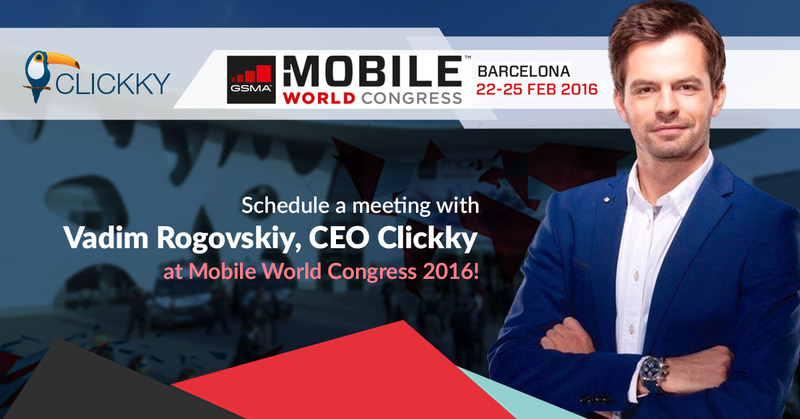 The CEO and founder of Clickky, Vadim Rogovskiy, will be attending Mobile World Congress 2016. It is the key mobile industry event, which will take place in Barcelona on February 22-25, 2016. MWC gathers top mobile industry experts from all over the world. The Mobile World Congress 2016 conference program will cover the latest trends and challenges of mobile industry, highlighting the newest technological developments, next generation services and development strategies. The event also provides a large exhibition area and offers lots of opportunities for networking. To schedule a meeting with Vadim Rogovskiy at MWC Barcelona please complete the form at the events page.